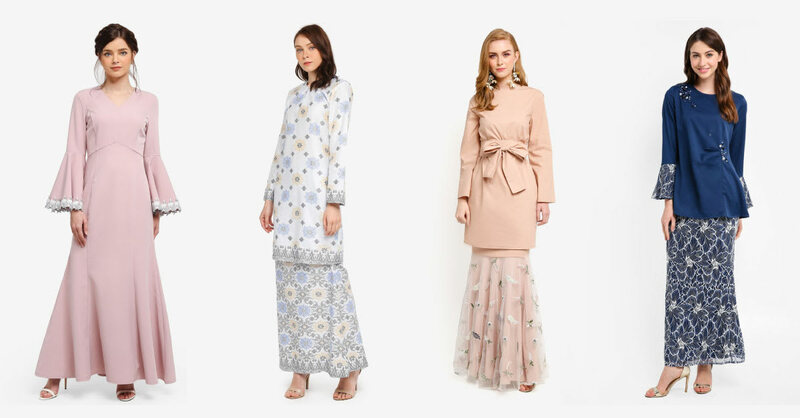 You need to start your Raya shopping already, but you just can't take the heat? Or you are run-down just trying to figure out what's in for the festive season this year? Chill yourself and shop from the comfort of your home - without breaking your bank. You will be spoilt for choices with the array of exquisite baju Raya we have curated for you. Step out of the traditional mainstream garments and go a little offbeat with this Maserati dress or jubah. What sets this dress apart is the Maxmara fabric which is way silkier and more delicate than satin. The shiny material and umbrella-cutting bottom will give you a radiant look. Hailing all cotton lovers - this Kurung Kedah is right up your alley. Cotton is indeed the versatile year-round fabric and is highly commended as comfort wear. Imagine donning this traditional Kurung Kedah during the scorchingly hot Raya season. This Kurung Kedah is made with five different intricate batik-like motifs and blended with authentic traditional elements. Modest fashion is highly anticipated these days such as loose-cutting, and lengthy baju kebaya. They redefine kebaya entirely, which is tight-fitting. The diamond silk material is finished with a glittery touch and is soft to put on. It is available in various colours including royal blue, soft choc, maroon and emerald, to name a few. If you're looking for an extravagant Baju Raya, then you should give this cloak jubah a try. It is adorned with a dazzling waistline and highlighted with a cloak-like embellishment. This Baju Raya has the perfect blend for a chic yet sophisticated look. This trendy Kurung with a ruffle finish will be a pleasant head turner to your stunning look. The premium poly-mix crepe top is paired with a maxi mermaid skirt that is perfectly layered with a soft net. It is available in three classy pastel colours that will make you look drop-dead gorgeous. The Baju Kurung Pahang harmonised in a songket print is ideal if you're looking for something classic. Kurung Pahang is renowned for its distinguished Pesak Gantung cutting that is neatly tailored to suit every shape and size. Its exclusive songket print on platinum pearl skin fabric adds a touch of sophistication to the overall look. Slip into this modern kebaya with a self-tied sarong if you're looking for something bold this festive season. It comes in different colours: Tosca, mustard, maroon, pink and blue. The cotton polyester top blends well with the softly-printed satin sarong; your fashion statement will be the talk of the town this Raya. If you're looking for something with minimal motif and print, then look no further than this Peplum Warda. It features embellishments made with Swarovski diamonds and comes in various colours. You can choose from hot maroon, saddle brown, olive green, purple, navy blue, dusty green, mustard or royal blue. This lacy Baju Kurung with glittery lacey top and cotton batik skirt will make heads turn at open houses this Raya. The top comes with full lining, and the pearl ornaments on the lace add a modern touch to the overall look. There are four colours available to suit your needs. Kaftan Abaya has recently gained immense popularity among ladies who wants a sophisticated Raya look. It is perfectly tailored with a double-layer fabric - chiffon as the outer layer and knitted fabric as the inner layer. This combo will give you comfort all day long. There's also detailed embroidery at the neckline, waistline and the sleeve to give it a royal look.